It looks like YouTube is killing access for STB's who have not paid a multi-million dollar licencsing fee. 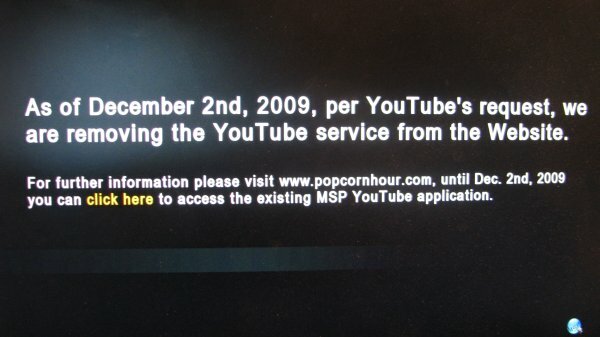 Strategic partners like Panasonic, Sony, TiVo and PS3 are unaffected, but anyone else like Popcorn Hour . . . . . . well . . . . the show is over. I gave up trying to watch YT on my PCH as the incoming was so bad with buffering all the time. Won't miss it.